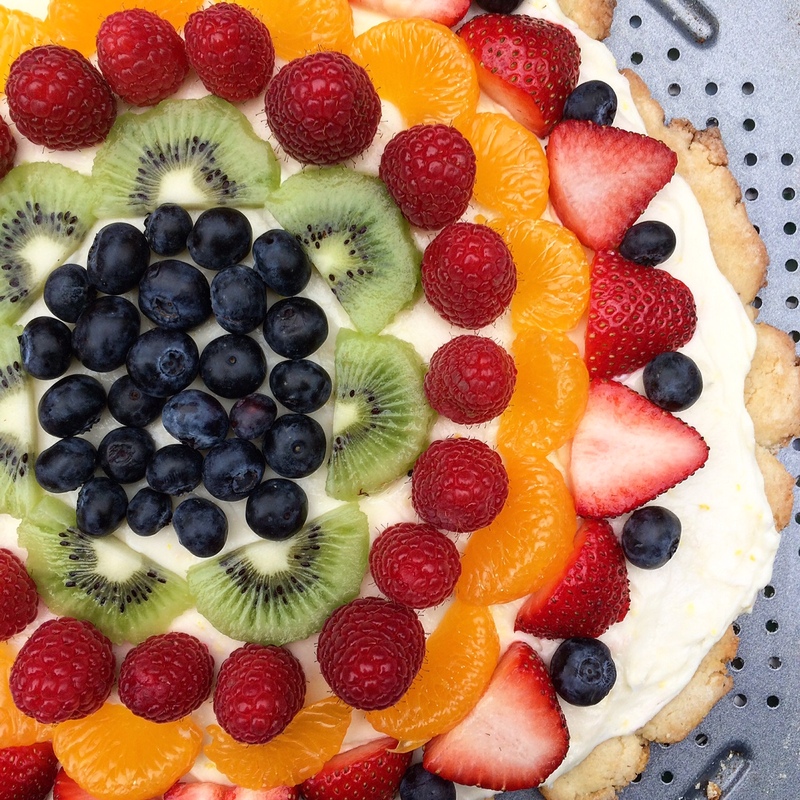 Fruit pizza is something I have been wanting to experiment with for a long time. Our classic sugar cookie recipe works great for individual cookies, but would it work as one large cookie? I rolled the dough out into one large (and very imperfect) circle, threw it on a pizza sheet and hoped for the best. 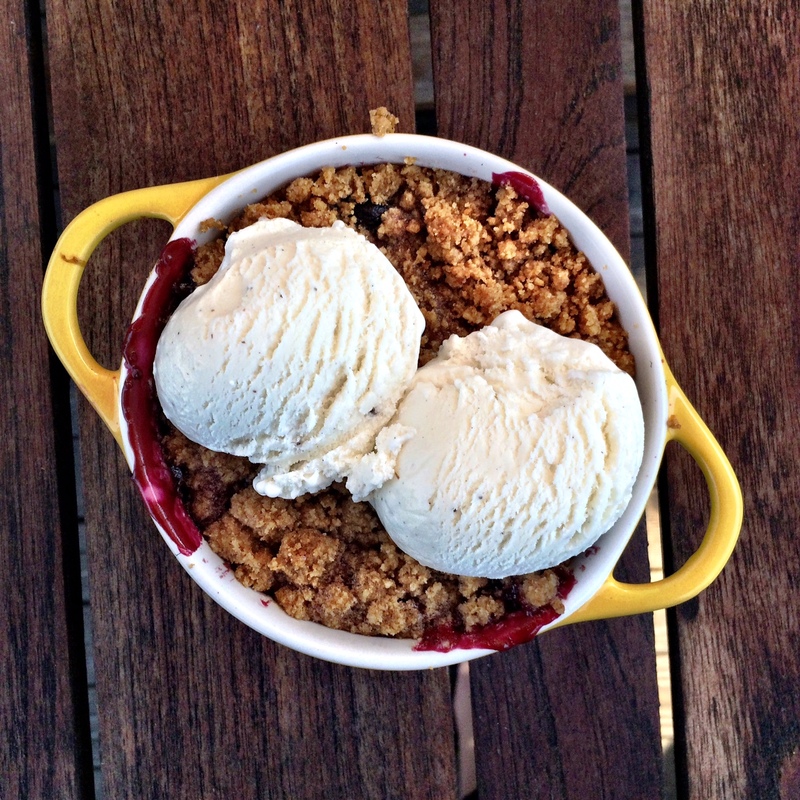 Crumbles…Cobblers…Crisps? Aren’t they all the same thing? All I know is they are all delish. However, I haven’t made many in my life, they are one of those easy things that I always blow off and instead I go make some *new* or *trendy* thing…which never turns out as good as one of the classics. Stick with the classics people! They are still around for a reason! So the lovely Lulu found this amazing guide on The Kitchn and I just have to share the whole thing here. It really lends itself to “wingin it” and just going for it. 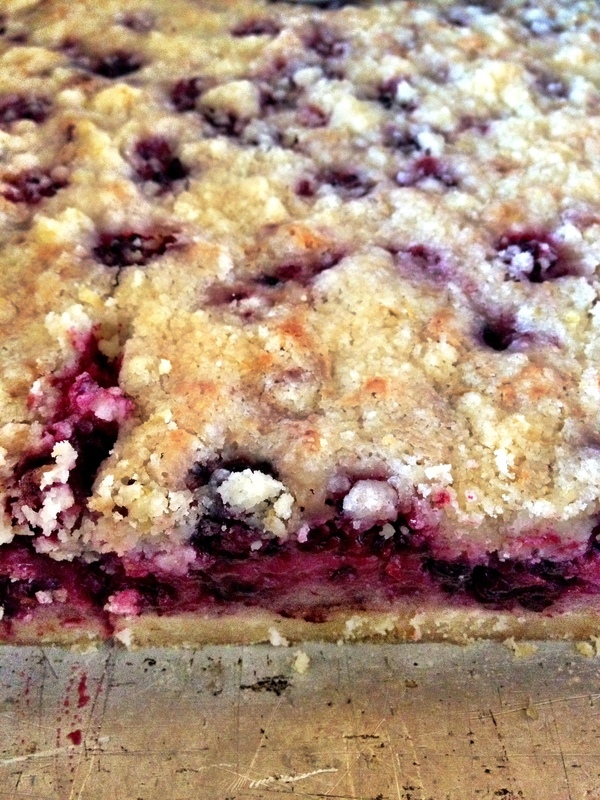 We made a blackberry, blueberry, and nectarine crisp going off of this guide. It’s probably the best thing I have eaten all summer long. 1. Prepare the Fruit Filling: If necessary, dice the fruit into bite-sized pieces. Toss the fruit with sugar, lemon juice, cornstarch, and any spices. Use more sugar and less lemon juice when cooking with tart fruits like rhubarb and blackberries, and less sugar but more lemon juice for sweet fruits like peaches and plums. Best is to taste a piece of fruit and adjust to taste. Use more cornstarch with very juicy fruits like plums and less with firm fruits like apples. But don’t worry; no matter your ratio of these ingredients, your crumble will be delicious. Pour the fruit filling into the baking dish. 2. Prepare the Crumble Topping: Thoroughly mix the flour, sugar, cinnamon, baking powder, and salt for the crumble topping. Break the butter into a few large pieces and toss these in the dry ingredients. Using your fingers, a fork, or a pastry cutter, work the butter into the dry ingredients until large heavy crumbs are formed. 3. 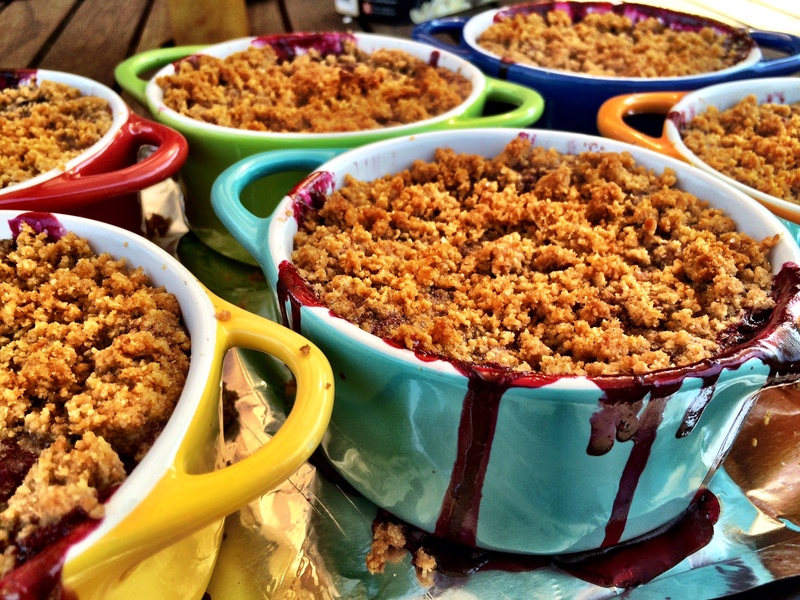 Top the Fruit Filling: Pour the crumble topping evenly over the fruit. 4. 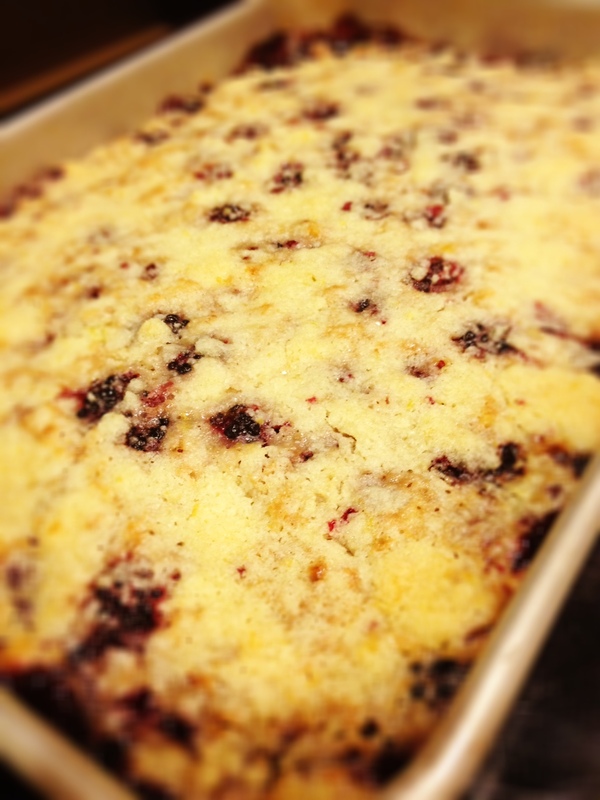 Bake the Crumble: Bake the crumble for 30-35 minutes until the fruit juices are bubbling around the edges of the pan and the topping is firm to the touch. 5. 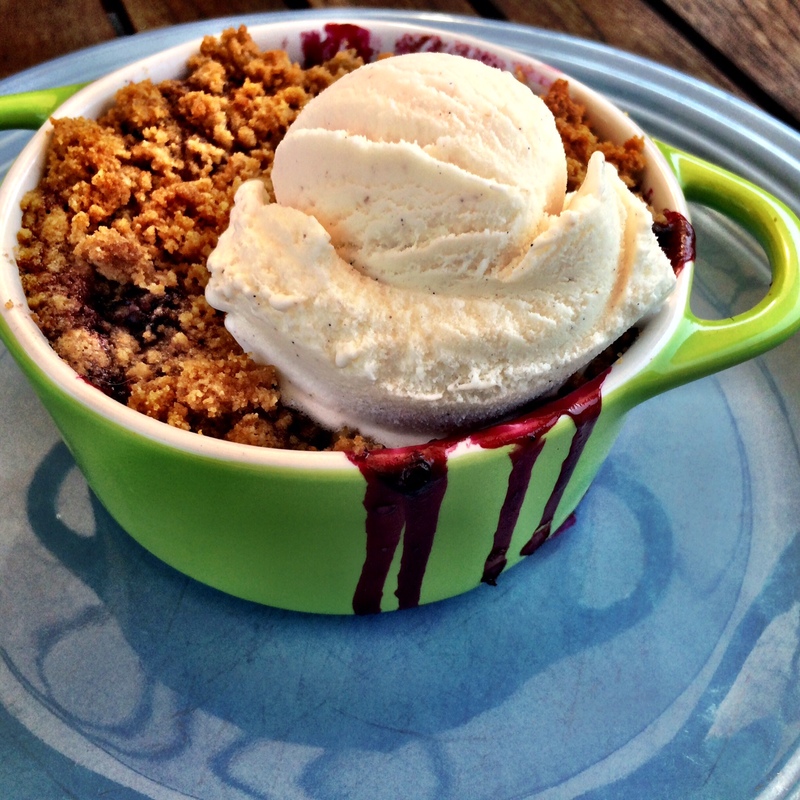 Cool and Store the Crumble: Let the crumble cool for at least 15 minutes before eating. 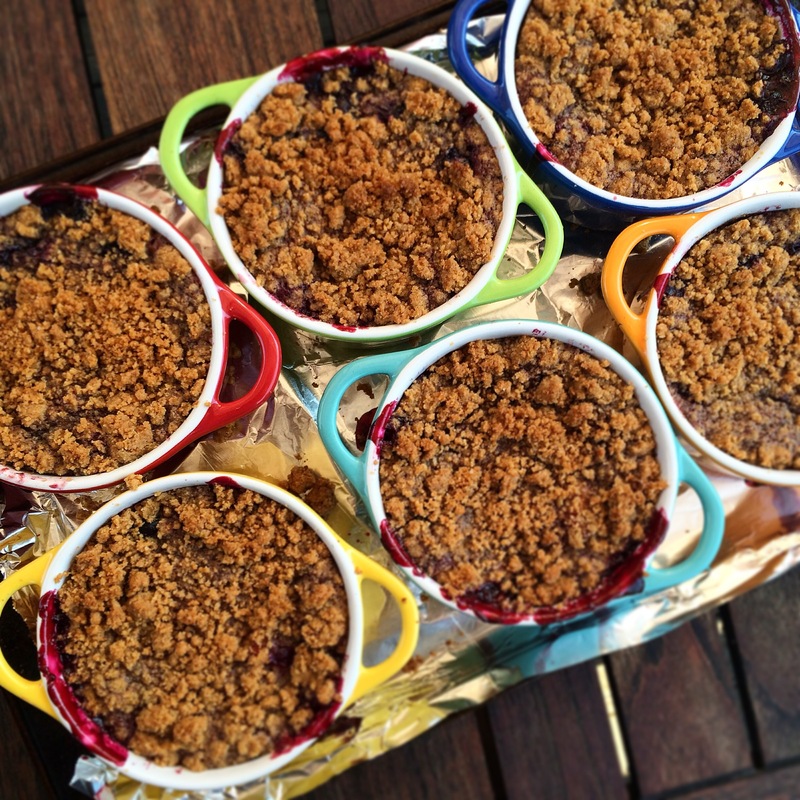 If transporting to a picnic or party, let the crumble cool completely to give the fruit filling time to set. Crumbles will keep, covered and refrigerated, for up to a week. Serve cold, room temperature, or re-warmed in a low oven for 20 minutes. 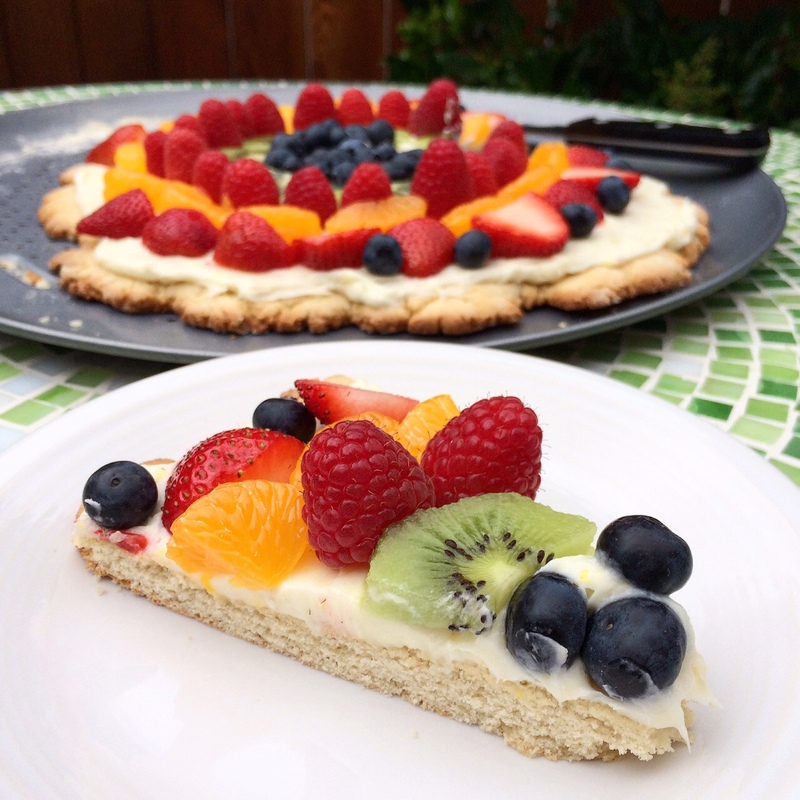 • Using a 9″x13″ Pan: Increase the fruit to 10-11 cups, adjusting the other filling ingredients to match. Increase all the crumble topping ingredients by half (1 1/2 cups flour, etc. ), except for the baking powder. • To Make a Crisp: Add 1/2 cup of old-fashioned rolled oats or 1/2 cup chopped nuts (or both) to the topping. 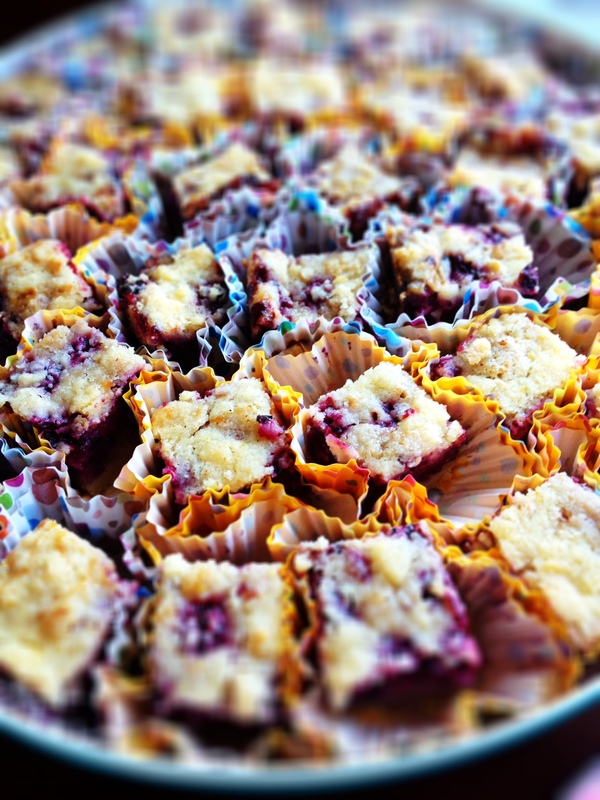 • To Make a Cobbler: Press the crumbs into biscuit-sized patties and arrange them in a single layer over the fruit. • Flour Substitutions: Try subbing another flour for all or some of the AP flour in this recipe. 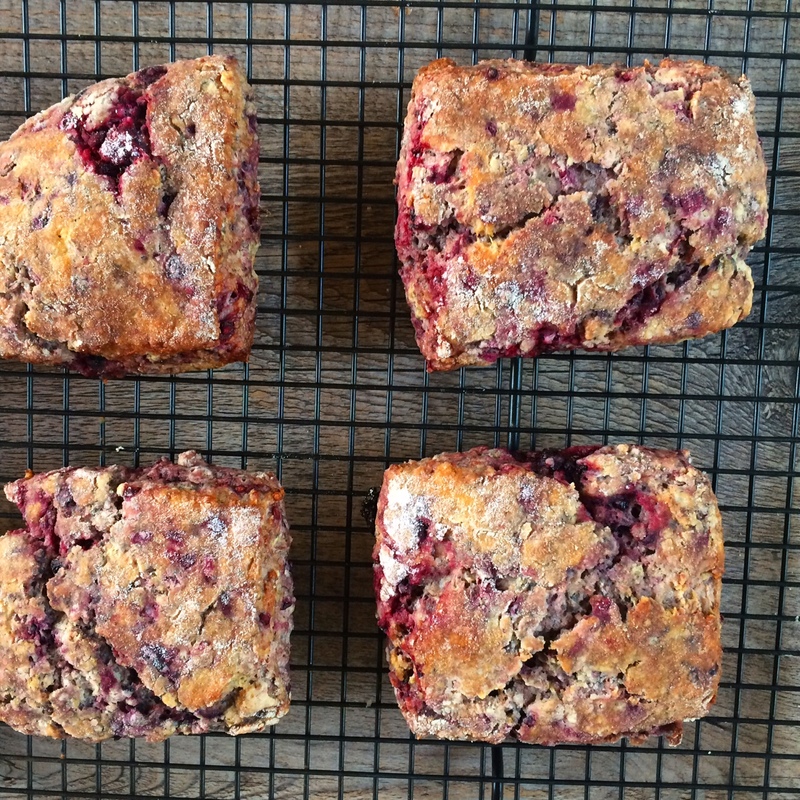 Almond flour, spelt flour, and barley flour would all make delicious crumbles and cobblers. • Sugar Substitutions: Swap the brown sugar for white sugar for a lighter flavor, especially for cobblers. Feel free to experiment with other sugars in your cupboard as well. 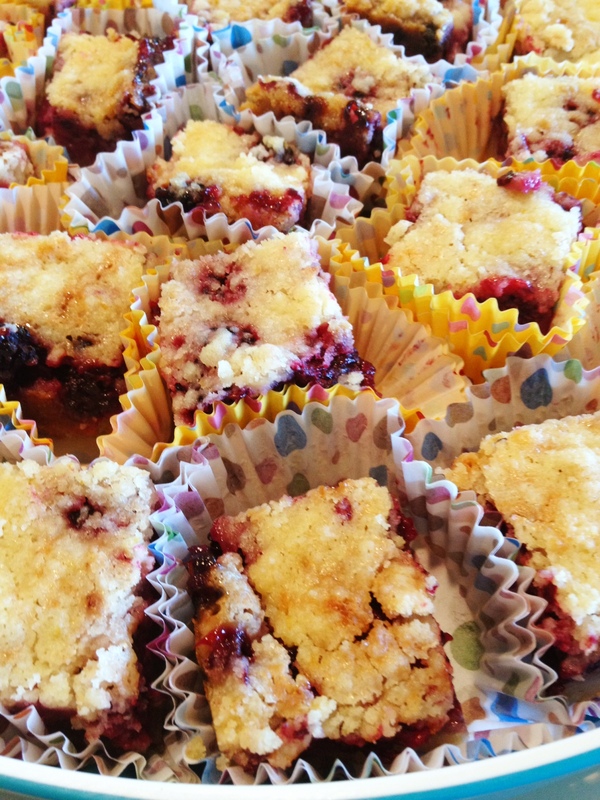 Luckily, I found one of the best possible ways to use freshly picked blackberries – these insanely good Blackberry Pie Bars. I made these last Friday night at about 9PM, exhausted from the work week, half asleep…but I was determined to bring them to a party the next day. Thank God I soldiered on. These are easy enough to make while half asleep, but they taste like something out of a homey bakery you randomly found on the side of the road. 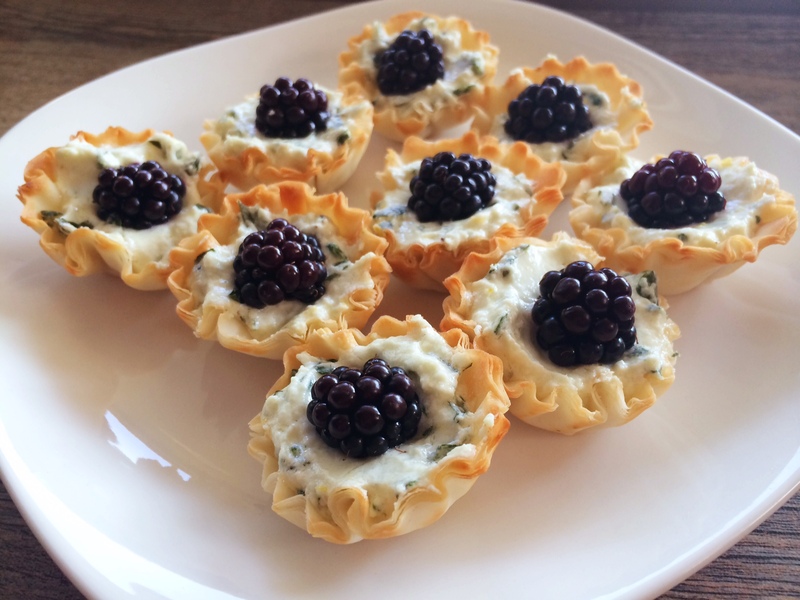 I can’t wait to make these again and again…Or at least every summer when Blackberry season rolls around. 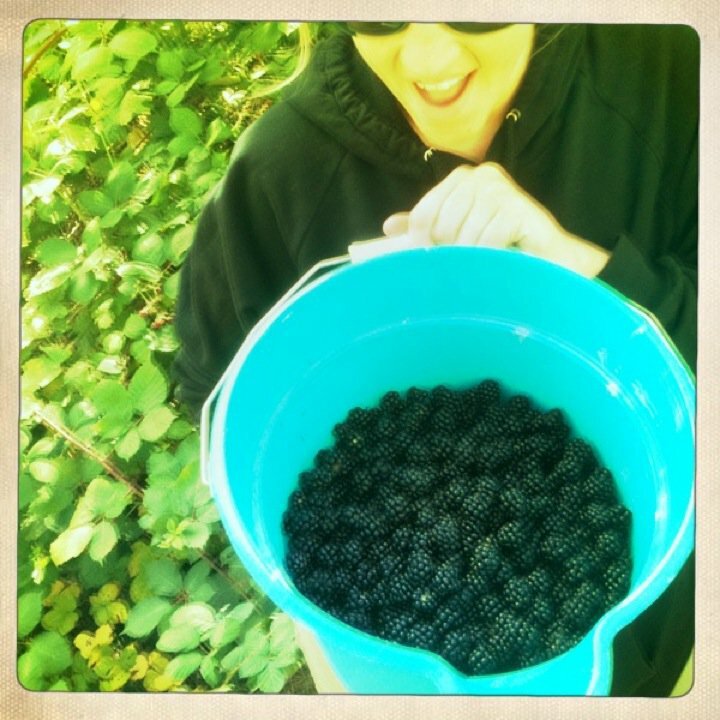 I will always have a feeling associated with blackberry picking, an emotion you can’t quite put your finger on, maybe because it’s a mix of many things. Many stories, childhood memories, brambly bushes…but these bars will implant a very clear feeling: deliciousness. Preheat the oven to 350 degrees F. Grease a 9 x 13-inch backing pan with butter or cooking spray and set aside. Zest two lemons. Measure out the sugar onto a clean work surface. Rub the lemon zest into the sugar with a bench scraper or the back of a spoon. Rubbing the zest into the sugar will release oils from the zest and create a lemon scented sugar. Combine lemon sugar, flour, salt and butter in an electric mixer fit with a paddle attachment. Beat the ingredients on medium speed until the mixture looks dry and crumbly. Reserve 1 1/2 cups of the crust mixture to use as the topping. Press the remaining mixture into the bottom of the pan. Bake the crust for 12 to 15 minutes until it is golden brown. Let cool for 10 minutes while you make the filling. Whisk the eggs in a large bowl. Add the sugar, sour cream, flour and salt. Gently fold in the blackberries. Spoon the mixture evenly over the crust. 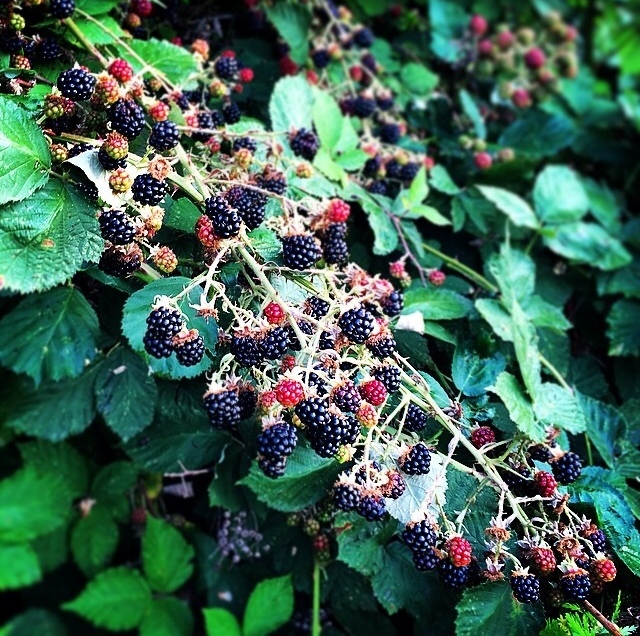 You may have to distribute the blackberries evenly around. Sprinkle the reserved crust mixture evenly over the filling. Bake for 45 to 55 minutes until the top is lightly browned. Cool for 1 hour before slicing. 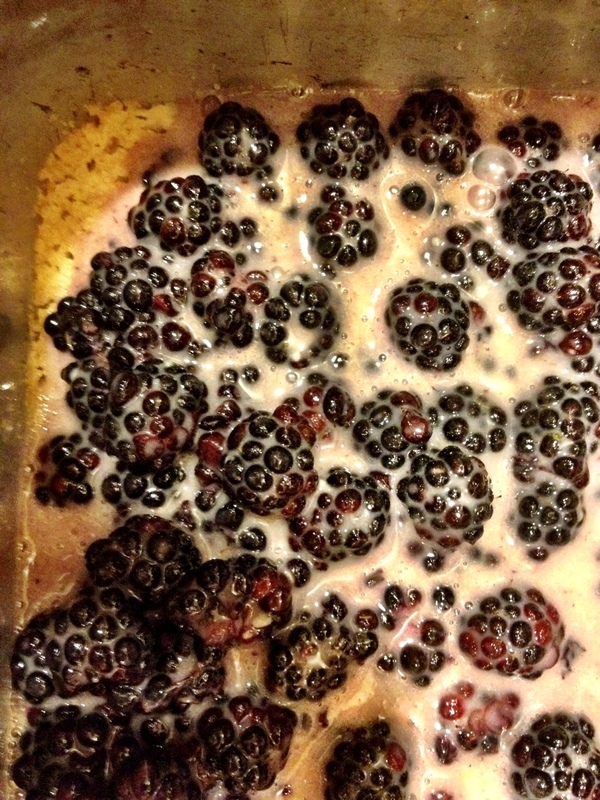 **If you’re using frozen berries, be sure to defrost and drain the excess liquid. Place the frozen berries on a plate in the refrigerator overnight. They’re defrosted and ready for bar baking!